Toronto serves as Canada’s hub for art, commerce, and entertainment, making it an ideal destination for travelers. The city won’t disappoint thanks to a wide range of world class restaurants like Canoe, Carisma, and VOLOS. Another major attraction you won’t want to miss is Canada’s largest natural history museum, the Royal Ontario Museum. Toronto is one of the most culturally diverse cities in the world, truly offering something for everyone. 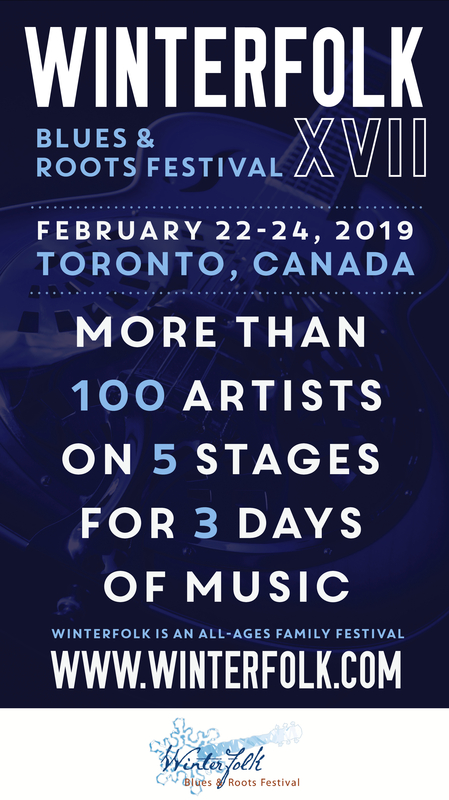 Winterfolk Blues and Roots Festival has been a leading winter music event in Toronto for 15 years. 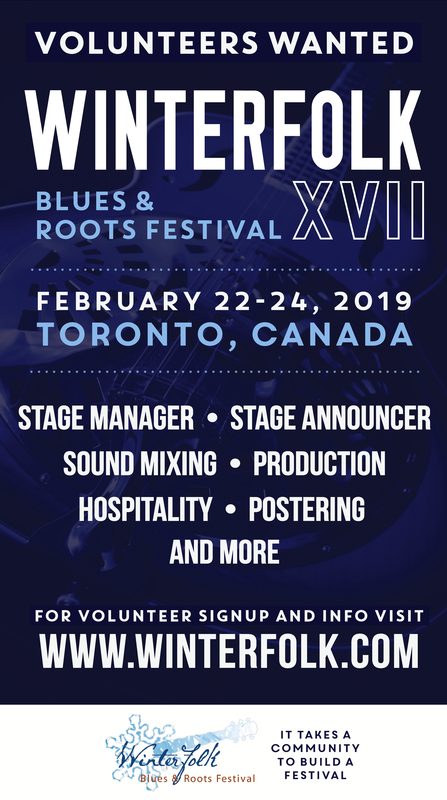 This year’s event takes place Feb 17-19, at five different downtown venues on Danforth Avenue, where individuals and groups will be performing blues, roots, jazz, rock, and country music. Specialty workshops and album release parties that highlight up-and-coming artists offer fun for all music lovers. The event brings many new people to area businesses and provides local artists with an outlet to play their music, making it a community favorite. ResortsandLodges.com got the opportunity to speak to Beverly Kreller, a representative for the festival, to learn more about this music spectacular. BK: The event is heading into its 15th year. BK: Organizers expect somewhere in the ballpark of 10,000 attendees. BK: It’s like a rural summer festival but in the winter. It’s an all-weather event because it’s held indoors at various venues on the Broadview/Danforth strip. BK: Music, music, and more music. There are main concerts and workshops such as Guyz Harmonize and Duelling Banjos. The workshops are a more intimate type of show and there is often a lot of interaction between the artists and audiences. There are also CD release parties and many community stages where you can see top-notch talent alongside new and emerging talent. RAL: What dining options will attendees encounter. BK: All of the venues provide food (except The Black Swan Tavern), from pub fare at Terri O’s and Dora Keogh, to fine dining at The Globe Bistro and tapas at Mambo’s. BK: Each venue has a warm and welcoming environment. They are perfect for folks of all ages and ideal for enjoying food, music, and good company. RAL: Our travelers seek out unique, Mom & Pop and boutique accommodations. Where can they find these in your area? BK: There aren’t many directly in the area, but it’s close enough to central Toronto where there are those kinds of accommodations. Attendees will find unique lodging in Kensington, Baldwin Village, etc. BK: The Black Swan Tavern, where most of the main headlining “ticketed” events take place. Also, many people flock to the Sunday night “Americana Pie” workshop at Dora Keogh’s every year. BK: Yes absolutely. The area is booming during the festival. The Danforth BIA gets heavily involved, and of course, the venues involved do great business during the fest. We’ve also heard that other restaurants get plenty of overflow business as well. BK: We partner with schools in the community like Seneca College, to present community stages that they curate. We offer them the space, audience, and promotion/publicity for their showcases. It’s a great opportunity for them, and in turn, they bring more new fans to our festival. We also bring in huge numbers of volunteers each year, who will learn new skills such as stage managing or sound tech, etc. BK: All of the venues are located near one another, so it’s easy to get from one showcase to the next. Our festival often falls on Valentine’s Day (not this year in 2017 though), and so the venues offer special event dining experiences, and we top it off with great music. We always have new and exciting artists from all over Canada, but it’s also a great vehicle for our local Toronto artists to get some additional exposure. It’s a grass roots festival where everyone is welcome. Audiences go away feeling like they’ve just met a lot of great new friends. For more information about the Winterfolk Blues and Roots Festival, please visit the website.